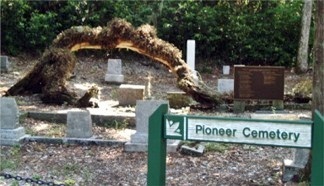 Historic Spanish Point near Sarasota, Florida - 5,000 years in the making! 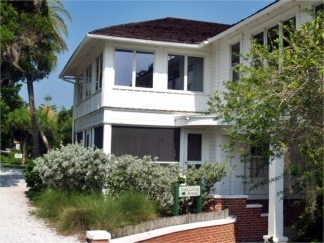 Historic Spanish Point is a Museum about the Sarasota area dating as far back as some 5,000 years ago, when the first Floridians fished and hunted for survival in the Florida wilderness (although I’m sure they didn’t call it Florida then!). 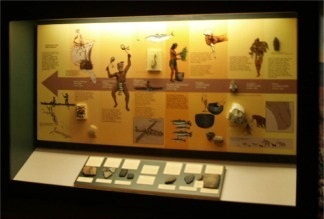 1: it covers the pre-historic period up to 5,000 years ago. 2: it also takes into account the pioneer years of 1867-1910 when northerners named Webb, from New York, decided to escape the harsh winters and build a homestead at Spanish Point. 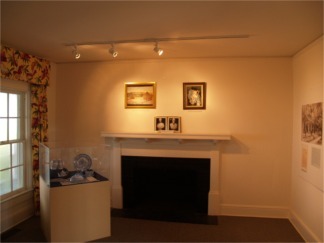 3: its more modern day history and inhabitants are covered from the years 1910-1980 in what might be called “the Palmer Years,” as Spanish Point became the home of Bertha Matilde Honore’ Palmer, the widow of the famous Chicagoan, Potter Palmer. 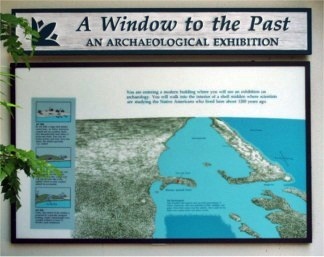 Among the “pre-historic” exhibits you’ll find a burial mound and an exhibit called “A window to the Past,” which chronicles the lives and times of the early natives, going back to 3,000 B.C. 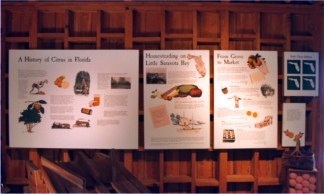 As you explore and experience the more recent history you’ll find the stories of pioneer homesteaders from New York. They were looking to escape the harsh winters in the late 1800’s and over the next 40 years they lived off the land as farmers. You can even walk through the Webb Packing House and you can pay your respects to the Webb family, graveside, in Pioneer Cemetery, next door to Mary’s Chapel. 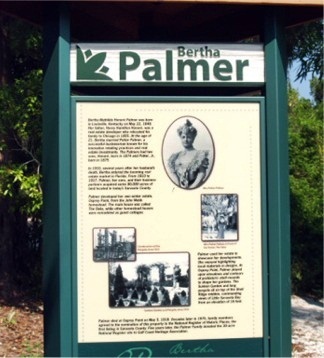 The early 20th Century history will show you how Bertha Matilde Honore' Palmer, widow of Chicago magnate Potter Palmer, came to be known as a visionary for the Sarasota area and who in 1910 recognized the subtropical paradise of Sarasota, Florida as one of the world's best locations. 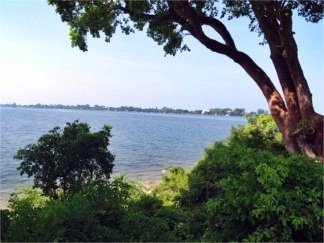 She purchased not only Spanish Point but a large portion of what is Sarasota County today. 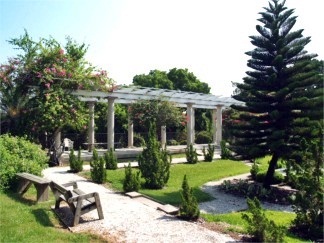 Spanish Point was the site of her winter estate, Osprey Point, where she created elaborate gardens, which you can still enjoy today. This tour is not only a walk through history and pre-history, but also a walk through nature. 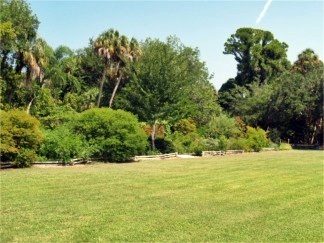 There are beautifully kept grounds and gardens, including a Butterfly Garden, a Fern Garden, a Jungle Walk and Aqueduct, The Palmer Water Garden and part of the grounds look out at Little Sarasota Bay. 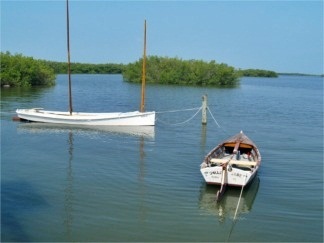 A visit to Historic Spanish Point will provide you with a look back in time at the rich and wide-ranging heritage and history of the early to more modern Sarasota area. 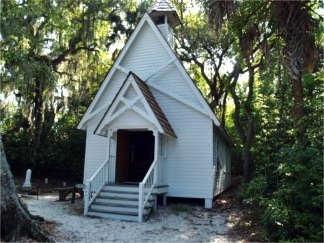 Features: archeology exhibits, pioneer homestead, formal gardens and daily guided tours. Tips for a comfortable walking tour of Historic Spanish Point: Depending on the time of year wear appropriate light weight clothing. 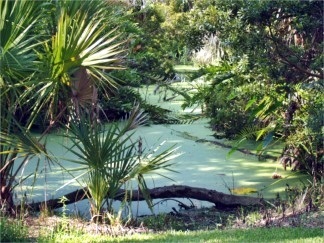 The climate in and around the Spanish Point gardens, on Little Sarasota Bay becomes sub-tropical; hot, damp and humid in the summer months. I was there last on a mid-August day. It was steamy and I was soaked! A hat or sun shade, sunscreen and loose fitting clothes should be worn as well as comfortable shoes, as some of the paths and walkways are dirt, grass or stone. Take along a camera and water in the hot months. And while the gardens are gorgeous, watch for flying pests. Some of the exhibits and houses are air conditioned and there are rest rooms available along the tour route. There is a large picnic area west of the Duchene Lawn and Classic Portal. During the cooler times of the year it’s a beautiful location to stop for a picnic lunch. Directions: From Sarasota drive south on Rt. 41 to Osprey. 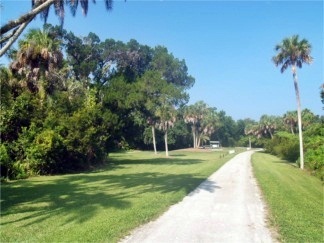 Look for the “Historic Spanish Point” entry sign on the right (west) side of the road.